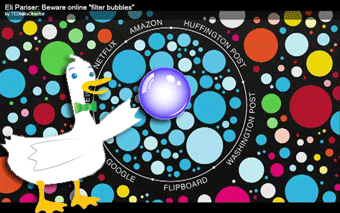 Google will customize results based on a person’s search history, which can give you biased search results (called the “filter bubble”). This article also highlights different options on search engines e.g. DuckDuckGo which searches the web without filtering results based on previous searches. The bubble effect is very real and it can create misunderstanding. I though “everyone” knew what moocs were until I went to a recent edtech conference and found awareness ranged low to very low. With a few very, very bright spots mixed in. Had to revise my talk very quickly to meet the audience.